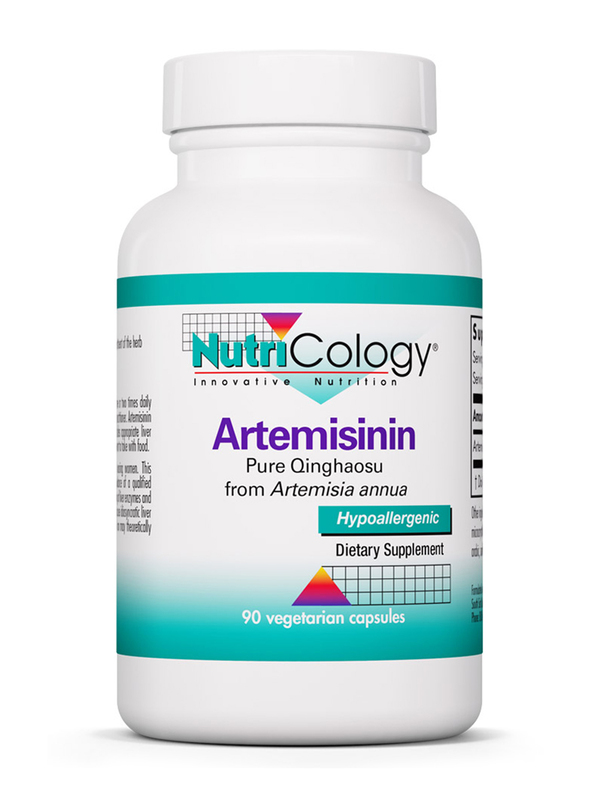 Artemisinin by NutriCology was just as ordered at a good price. 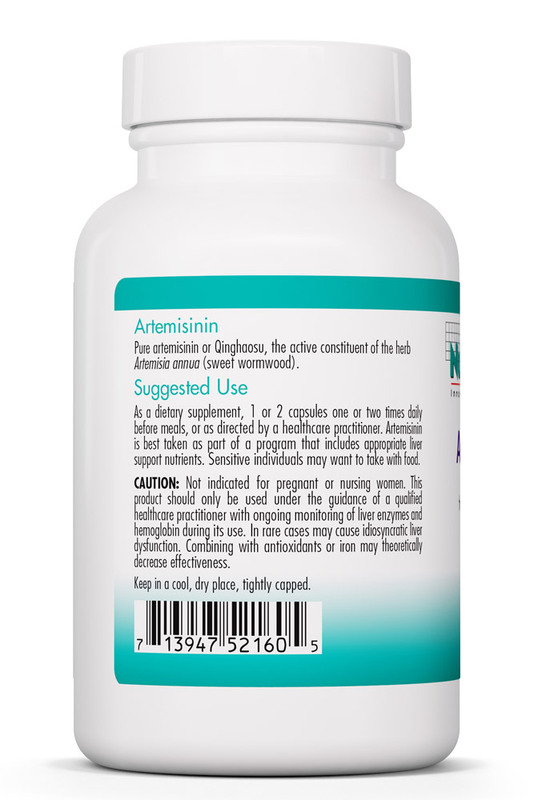 Pure artemisinin or Qinghaosu‚ the active constituent of the herb Artemisia annua (sweet wormwood). times more of the active constituent artemisinin than the whole herb itself. thujone. For more information about quality of artemisinin‚ see High Quality Artemisinin. healthcare practitioner. Sensitive individuals may want to take with food. 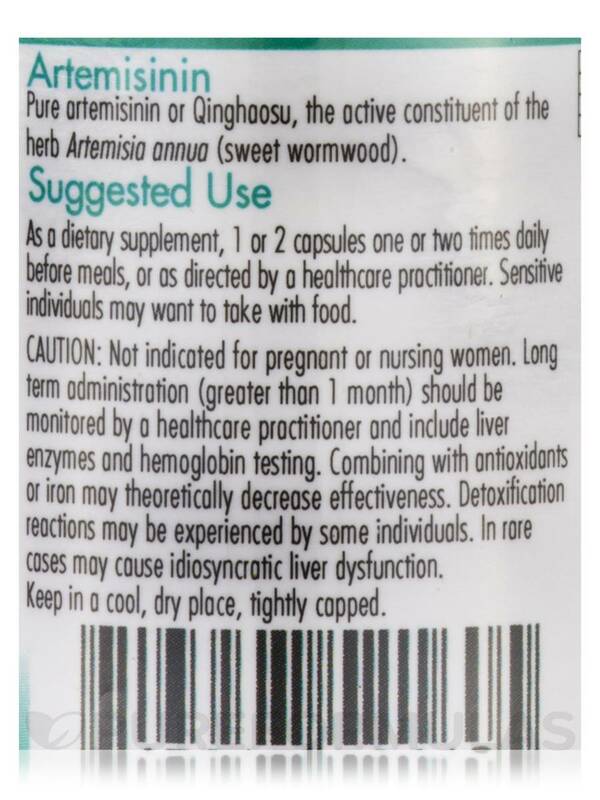 should be monitored by a healthcare practitioner and include liver enzymes and hemoglobin testing. may be experienced by some individuals. In rare cases may cause idiosyncratic liver dysfunction. 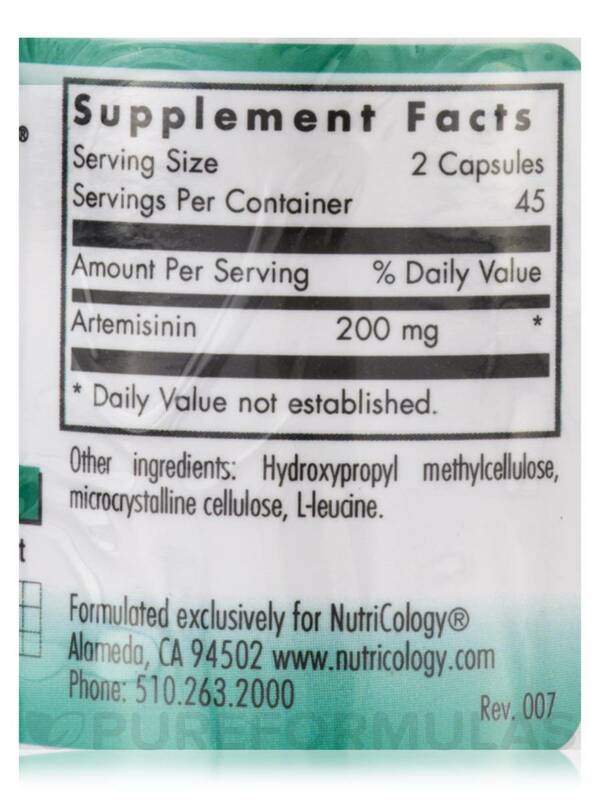 I have noticed a difference in my urination since taking Artemisinin by NutriCology. My stream is stronger and I am emptying better. That I have to take it. Nothing really. I started Artemisinin approx 6 months ago. I alternate every other month. 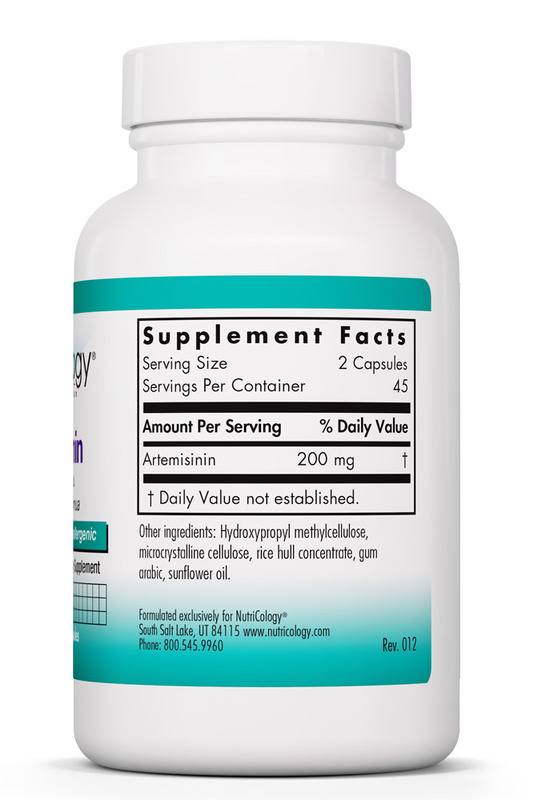 Artemisinin has helped to lower blood level readings. Im feeling better now. I will continue this natural regimen until I return to normal lab test levels. Nice product that naturally and gently works for me. Will purchase again. Thank you. Best on empty stomach. Does not upset my stomach. Economically priced.